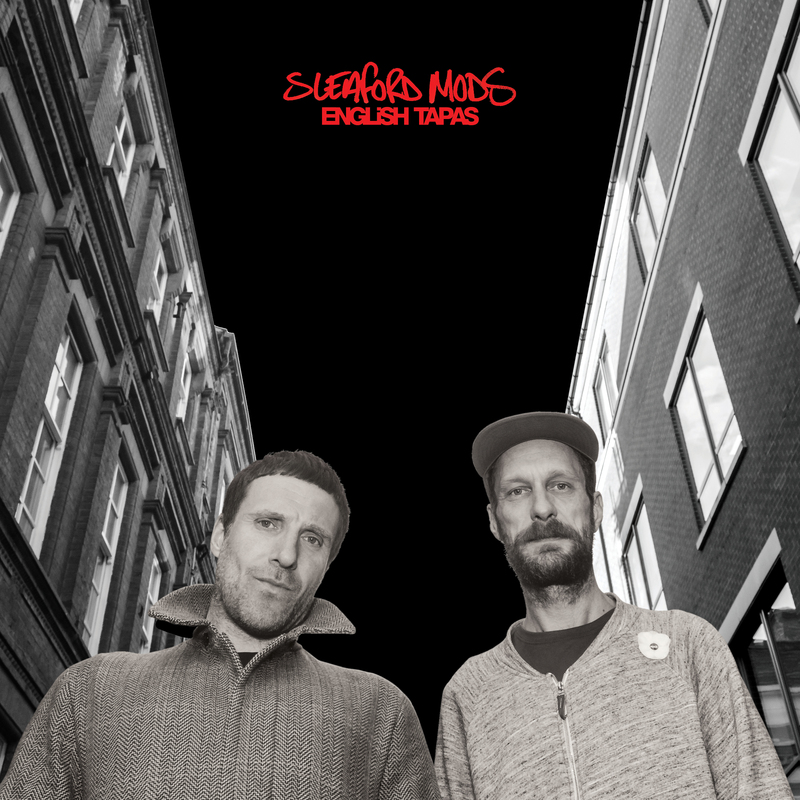 Nottingham-based punk-hop duo, Sleaford Mods, have been confirmed to play Garden Court on Friday 03 November. Their punk-inspired, minimalist music style has been praised by critics, who have dubbed the band “the most compelling live act in music act right now” (The Guardian). With lyrics covering life in austerity-Britain, the pair’s music is reminiscent of Happy Mondays’ Shaun Ryder, The Fall’s Mark E. Smith and The Streets. 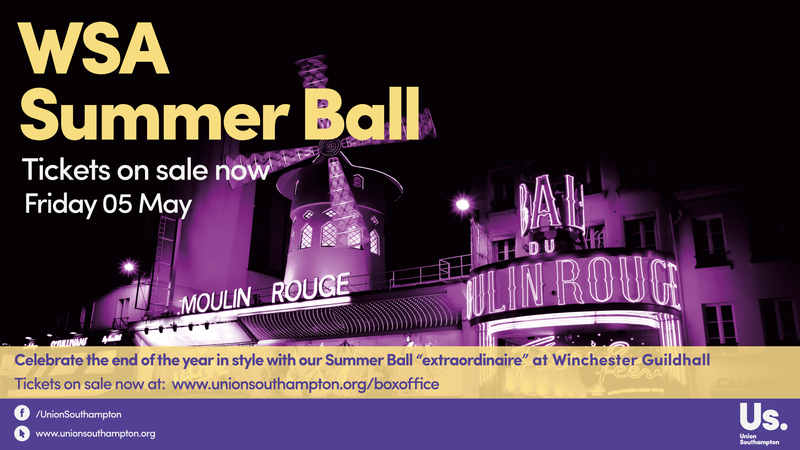 Tickets are £18.50 each, available to purchase from our Box Office at www.unionsouthampton.org/boxoffice. 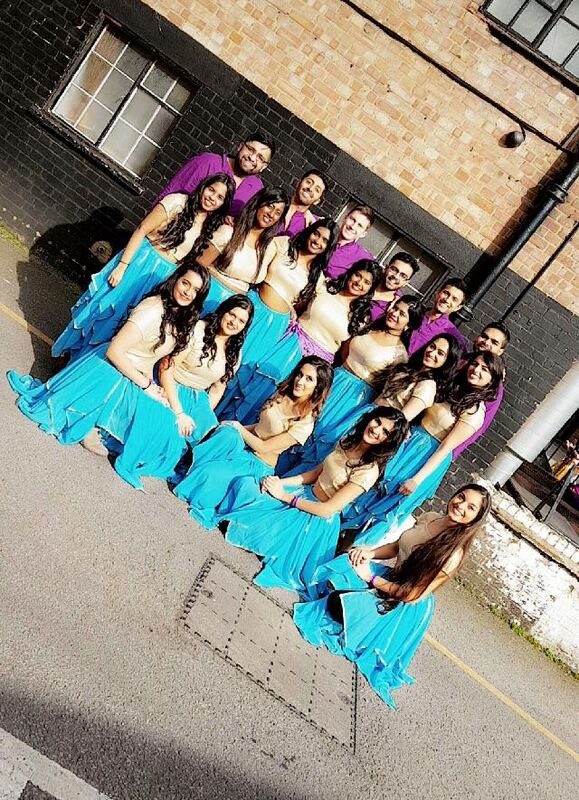 Following our blog last week, we are delighted to announce that Hindu Society have made it through the finals of the Battle of Bollywood dance competition 2017. 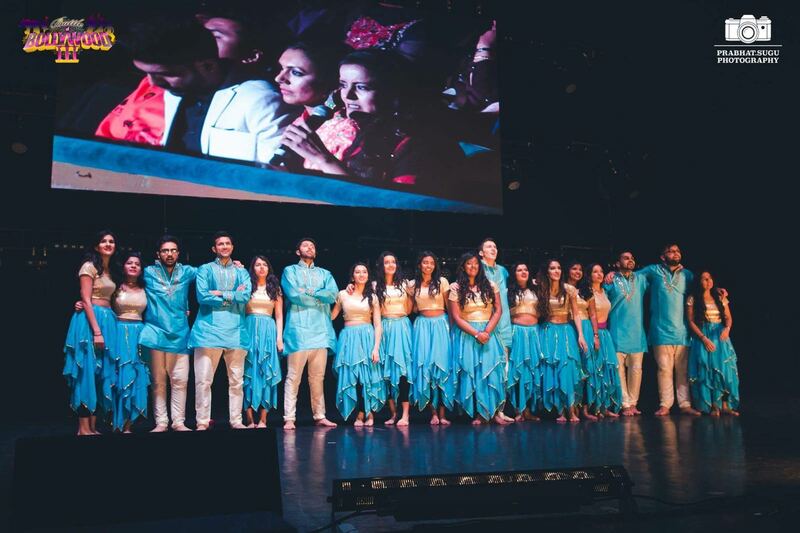 The group were given the opportunity to take part in a Facebook ‘like’ competition, battling it out to receive the most likes to enter the finals, which are due to be held in London next year. Prepare to be mesmerised with a dazzling aerial performance from a special guest at this year’s WSA Summer Ball on Friday 05 May at Winchester Guildhall. Join us from 20:30, where we will be greeting the first 50 guests with a free glass of prosecco. Enjoy decadent mouth-watering cocktails including The Gimlet and The Paloma available for just £4 each or 2 x £7 or enjoy a fruity Strawberry Satine mocktail as you watch our unique line-up of acts that take you through the evening. 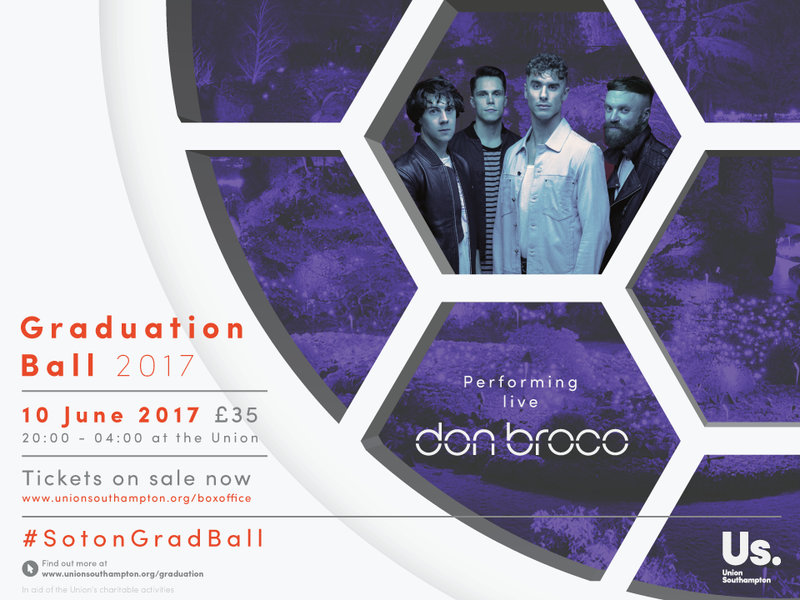 We are excited to confirm Don Broco as the act to headline Garden Court for this year’s Grad Ball on Saturday 10 June. The alt-rock four-piece, most famous for their single, You Wanna Know, have previously supported Bring Me The Horizon and Enter Shikari. Regulars on the festival circuit, the band have performed at Download and Sonisphere. The band are set to play alongside a line-up of other live music and entertainment across our Union venues, including DJs Tom Zanetti and K.O. Kane, who have already been confirmed as the act headlining The Cube. 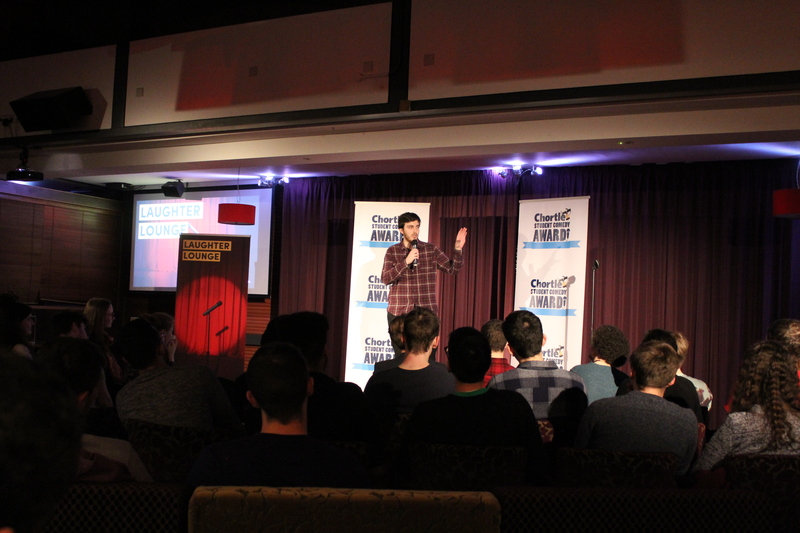 Southampton students, Joseph Lim and Sean Gilbody have been voted through to the semi-finals of the Chortle Student Comedy Awards 2017. 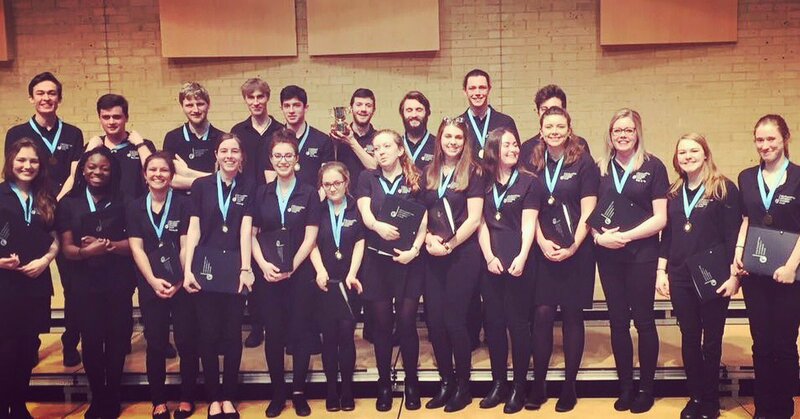 The students performed at the Southampton heat of the acclaimed awards in held at The Bridge on the 02 March. 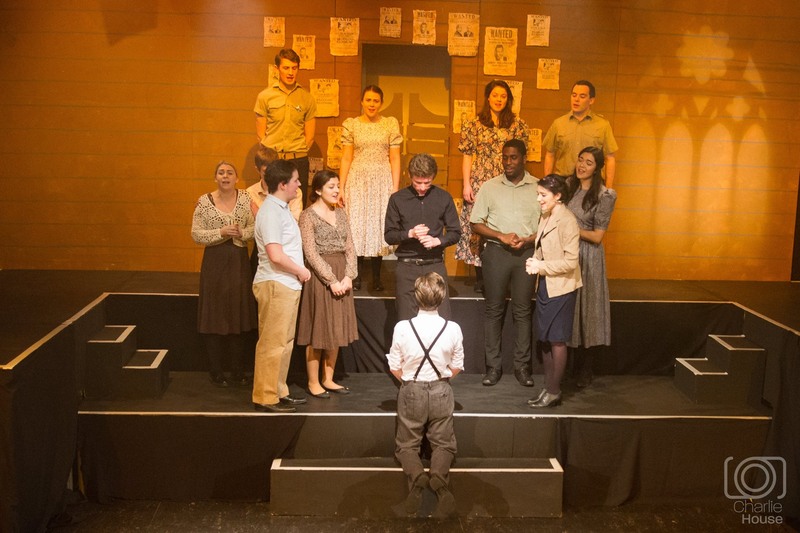 Five members of our Performing Arts societies were nominated for the Daily Echo’s Curtain Call Awards in January. The Academy Award-style ceremony took place at Southampton’s Grand Harbour Hotel on Friday 27 January with more than 400 actors and theatre lovers in attendance to celebrate the achievements of youth amateur dramatics groups in the South. Darius Timmerman (Theatre group) for his role as Moses in Animal Farm. Applauded for realising “his inner holy roller perfectly as this preaching crow”. Christmas Ballin’ – 8 Days to go! 8 days to go until you can be ballin’ with your best ones at our huge Christmas blowout before the end of the semester! Grab your housemates and course friends and let’s get merry to Philip George! Remember this banger? Sip on a free glass of prosecco on arrival to get the party started as you browse a winter wonderland of festive decorations and surprises.